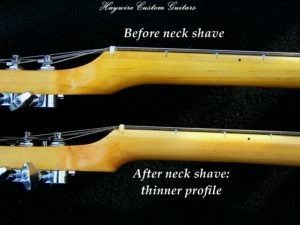 Who Here Has Had A Guitar Neck Shave? 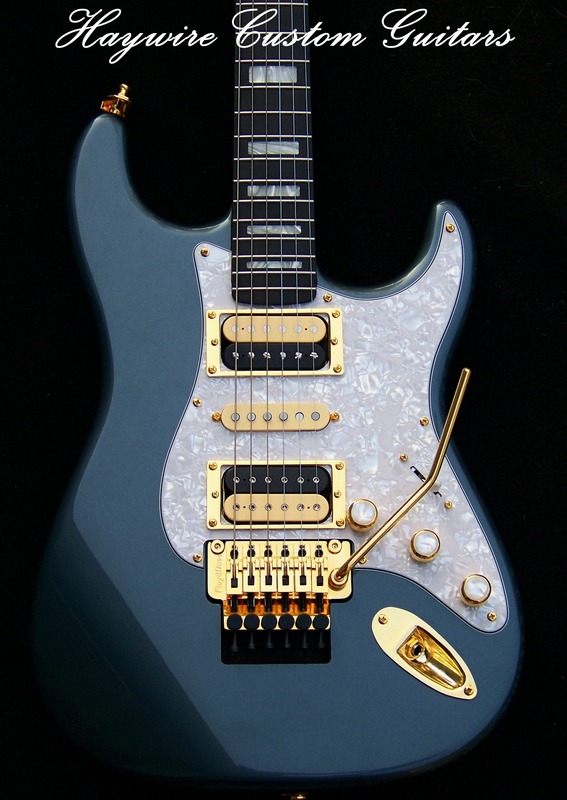 - Haywire Custom Guitars-Highly Recommended! Home/a guitar neck shave, better guitar tone, Better More Reliable Guitar, Custom Guitar Mods, Custom guitar shop, custom guitars, Faster playing neck, fix your guitar, Guitar adjustments, Guitar Neck Shaping, guitar neck shaves, guitar neck shaving, Guitar Neck Shaving Service: Haywire Custom Guitars:, Guitar repair by Haywire Custom Shop, Had your guitar neck shaved?/Who Here Has Had A Guitar Neck Shave? Sometimes adding a new neck can be the better, faster, safer but not necessarily a cheaper option. A guitar neck shave? 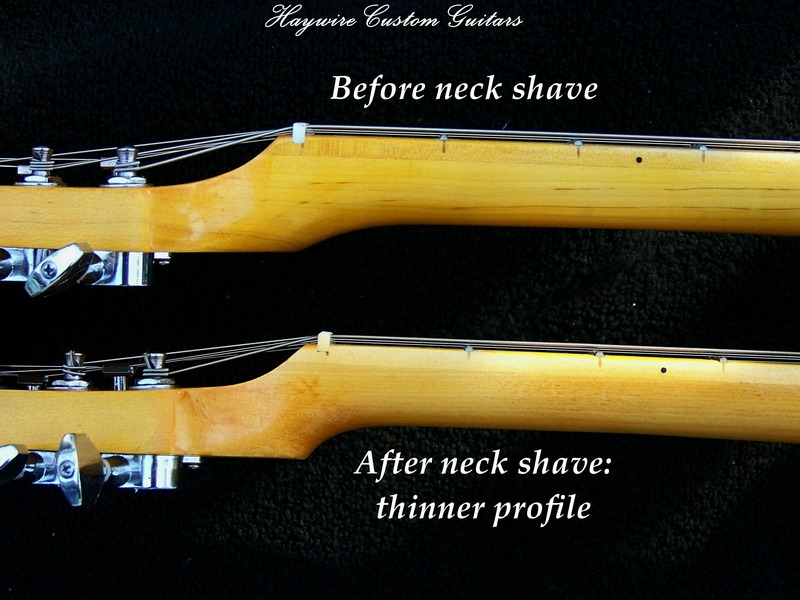 We wouldn’t recommend doing it yourself, however if you have a neck that is too large for your hands, clumsy and uncomfortable for you then……….a guitar neck shave may be a better option for YOU. It’s not a “one size fits all” world but most manufacturers only aim for the “average” players hands-not yours. Jimmy Page had the neck shaved on his 1960 Les Paul. His Les Paul was shaved to a slim taper. Sure the nut width may be different on some guitar models from either 1-5/8 to 1-11/16 on electric guitars. Acoustic guitars will sometimes have a wider nut width on the upper wider end such as 1-11/16 to 1-3/4 then to 1-7/8 inches on some models. The necks are generally the same. Let’s get back to YOU and your hands. If changing the nut width doesn’t do it for you then consider a guitar neck shave. In the realm of professionals it’s and easy job done regularly. We do it every day here in the Haywire Custom Shop. With the high cost of replacement necks in the neighborhood of around $250 ( for a used one) to $500 for a new one maybe the one you have just needs a tweak? What do you think? It’s certainly worth a try especially if your not doing it. The cost of a neck shave is very inexpensive compared to a new neck purchase. Consider the benefits. First, you can ship your guitar or just the neck to us, it will arrive in a day or two. We will work on it the day it arrives. The neck will be shaved to whatever specs you request. We always take measurements at the 1st, 3rd, 5th, 7th 9th and 12th frets upon arrival. Your neck is then shaved to the specs desired. We’ll check the neck for any problems such as twisting and over or under bow as well as fret dressing on the ends if required. After the neck is smoothed to a soft feel we add a great Satin finish to help preserve the wood for you at no extra charge. So, with the low cost of $135 vs. a new neck it’s worth going for a guitar neck shave. The turn-around time is 2 days then back home to you.